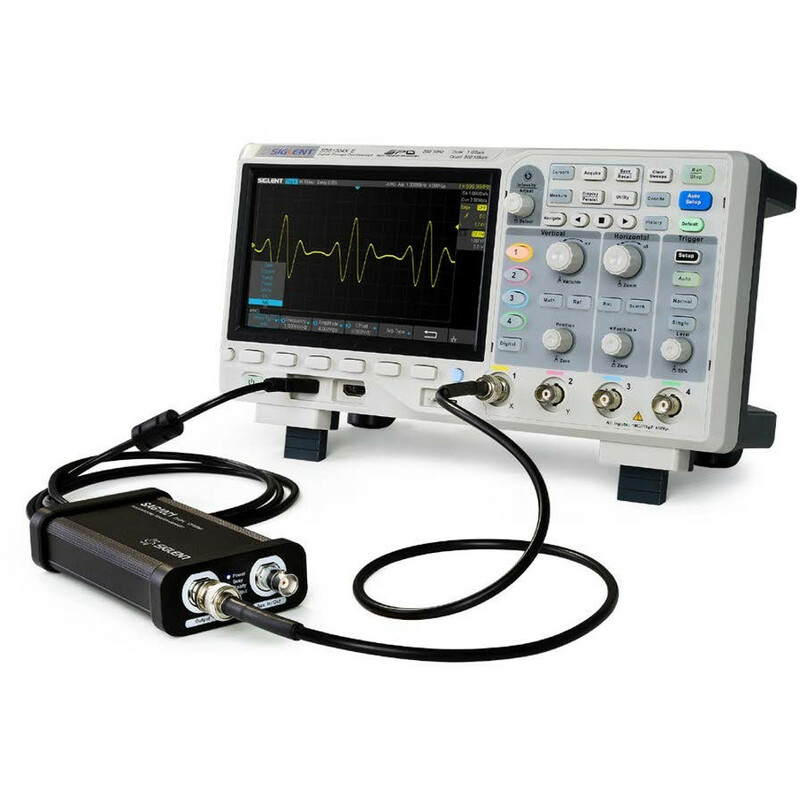 Accessory for use with the four channel SDS1000X-E oscilloscopes only. Output Sine, Square, Ramp, Pulse, Noise, DC and 45 built-in waveforms.The arbitrary waveforms can be accessed and edited by the EasyWave PC software. SDS1004X-E supports a external Arbitrary Waveform Generator (AWG), which can easily and quickly provide multiple input signals to users. The AWG provides two kinds of waveforms: the standard waveform and the Arb . the Arb single consists of two types: the system’s built-in waveforms and the stored waveforms. Built-in waveforms are stored in the internal non-volatile memory. It is includes: Common, Math , Engine, Window, Trigo. Users may also edit the arbitrary waveform by PC which has installed the EasyWave, or import the waveform by U disk that had stored edited waveform.